If you're interested in AVR processors and want to learn more or just want to learn about microcontrollers in general this is a great way to do it. AVR development board training course. This kit is based on Atmel’s MEGA AVR644 processor and is an integrated training program for exploring the MEGA AVR processors in a fun and engaging way! XGS AVR 8-Bit systems are designed with game making in mind and it’s the perfect development platform to create 8-bit games that you can put together in a matter of hours. • XGS AVR 8-Bit completely assembled. • DVD with numerous examples and complete driver library lncluding; Graphics, Sound, Keyboard, SD card, Serial Comms, Mechatronics, and lots more. 2. Or you can call us at (800) 321-2155 and ask for product 02-762. 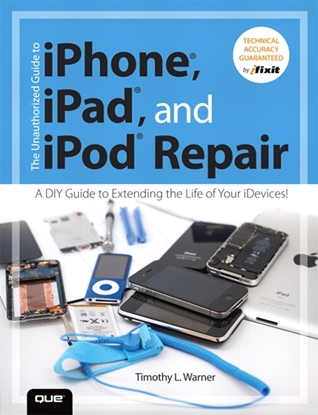 Learn to fix iPhones, iPads or iPods with this tutorial. Study at home and see how to take apart, fix and reassemble. Start your own repair business.